Bromus diandrus (ripgut brome) is an annual grass (family Poaceae) found throughout California and other western states. Ripgut brome is one of several European annual grasses that have displaced much of the native grass throughout California. Ripgut brome becomes very dry and flammable during the dry season, increasing wildfire frequency. Increased wildfire frequency leads to conversion of shrubland and woodland to grassland. Ripgut brome is reported to hybridize with two other invasive grasses: downy brome (Bromus tectorum) and red brome (Bromus madritensis). 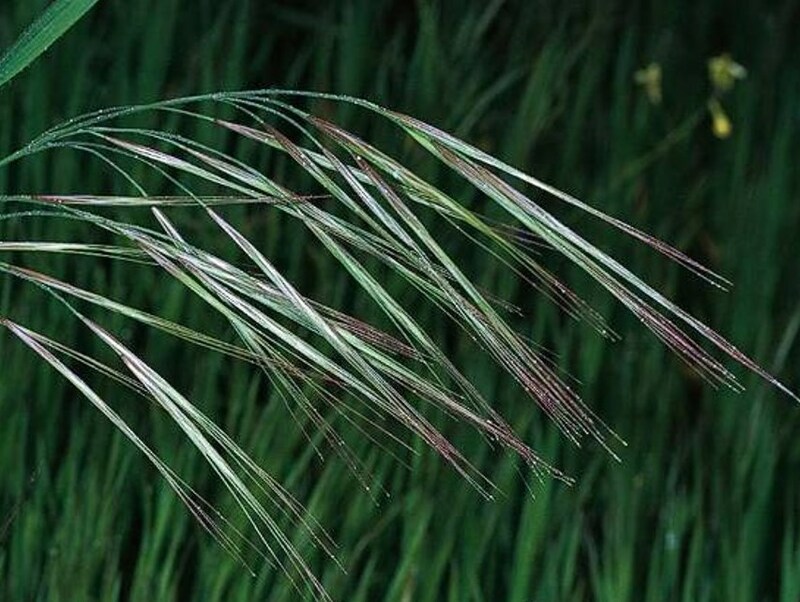 Brome seeds may spread great distances via water and soil movement and by clinging to animals and people.